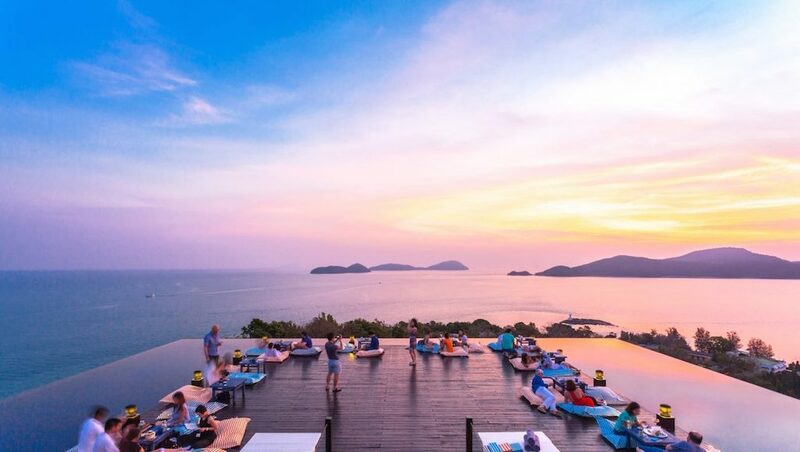 It’s well known that there are many excellent chic rooftop bars in Bangkok, but both Phuket and Koh Samui now have some exciting rooftop bars too featuring great food and beverage to enjoy whilst taking in the panoramic views from the amazing elevated structures. We’ve picked some of our favourites, with a hidden gem or two. The Baba Nest rooftop bar is located at Sri Panwa, is secluded and a simply stunning find for a rooftop cocktail. It’s surrounded by a narrow infinity edge pool and has a very laid back vibe with chill out areas. It’s best to book in advance and there is a minimum spend here. 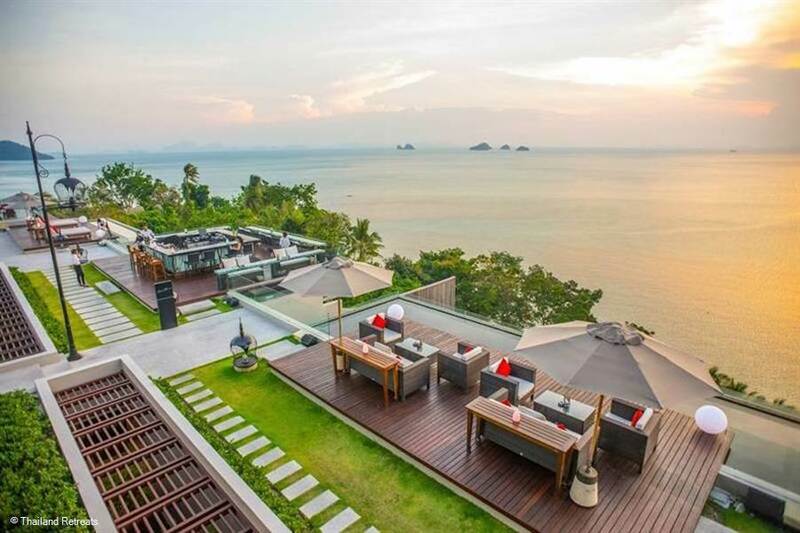 It’s a great place to sip a cocktail at sunset - the views over the Andaman sea are worth the visit alone. It’s not open late, but there is plenty of time to indulge from the sumptuous menu. Fancy a Bellini, Mimosa, Mojito or a Lycheetini? Or why not try the Sri Panwa Martini - Belvedere vodka with apple and lime. They also serve Mexican Tapas - what’s not to like? Baba Nest is open daily from 5pm to 9pm, it’s closed when it is raining. There is a minimum charge of 1000 THB for outside guests. Ok so we’ve cheated slightly as this one isn’t strictly rooftop - it’s treetop, with a tree house feel. 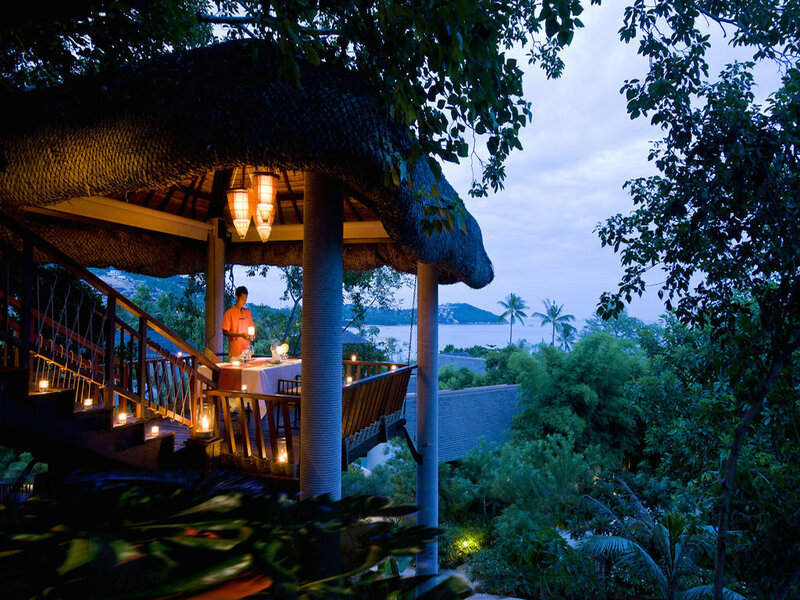 It’s located within the Anantara Samui resort and is a great place to take a loved one for a romantic experience. Bookings are essential. The cocktails are divine. The adventurous could try the Lemongrass Wild Chilli Vodka or the Black Pepper fusion with Black Pepper Sauce, Lychee Puree and Vodka. If sweet is more your style there is the Illusion, Ketel One Vodka, pineapple juice, lime, Midori and watermelon caviar. If you’d prefer to hold the alcohol try a tropical mocktail like the delicious Pineapple Cooler - pineapple juice, mint leaves, honey and yoghurt. The Zama is a true rooftop bar open from noon until 11pm. This stylish and airy rooftop bar is a great location to enjoy a fun evening underneath the stars. They have an impressive range of wine and champagne, as well as a cracking list of exciting cocktails on offer. Try the “Electric Soup 300” - with Vodka, Malibu, Lemongrass, Fresh Ginger, Kaffir Lime leaf and Chilli. Or perhaps a Gin and Jam? Artisan Gin with Blueberry and Vanilla Jam and a dash of lime. 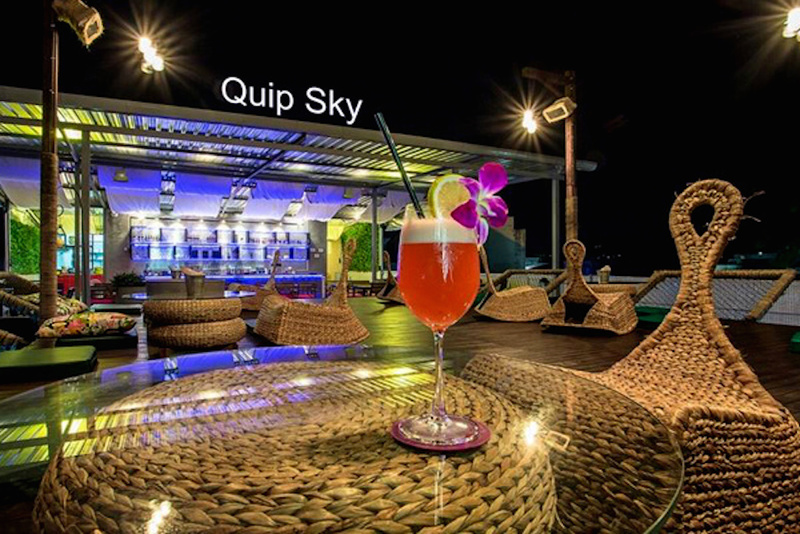 The Quip Sky Bar is the first rooftop bar in Phuket Old Town and it’s quirky! It’s five flights of stairs to reach this one, but the cool, relaxed and laid back atmosphere when you reach the top is worth the climb. The bar serves a range of traditional and favourite cocktails including Mai Tai’s and Margaritas. They also specialise in Lobster with a lobster Pad Thai on the menu. 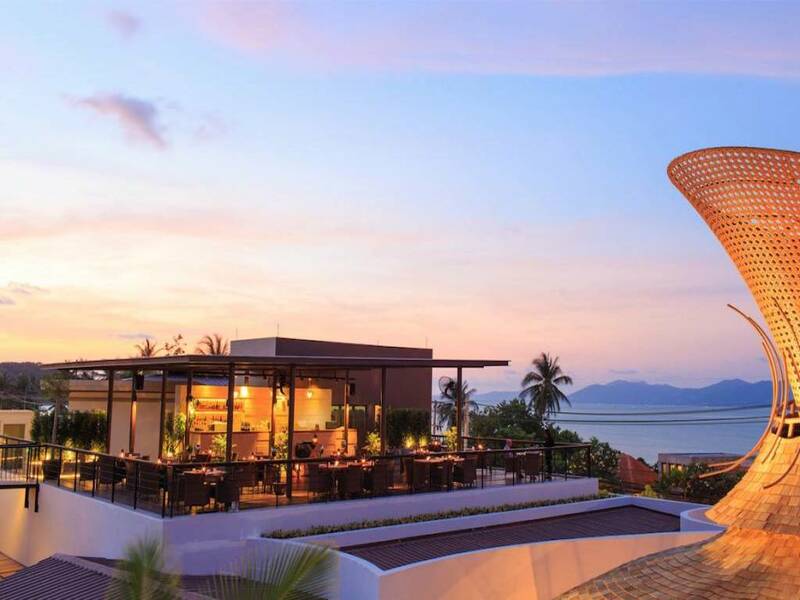 AirBar is perched on the cliffs on Taling Ngam, it is based at the InterContinental Hotel. It’s a beautiful location. The perfect spot for sipping on a sundowner, created by an expert mixologist, and enjoying the sunset. They have a daily happy hour from 8pm to 10pm, so you can buy one cocktail and get the other for free. So take someone special or just take two for yourself! It’s open from 5 until midnight every day. Try the Thai Sweet Basil Daiquiri made with Pampero silver rum, fresh lime juice, egg white, Thai sweet basil leaves and palm sugar.